Looking for a way to make visual conference calls better? Check out the new Windows 8 app, Speek and make simple, free visual conference calls. Speek guarantees users the ability to avoid the hassles of traditional conference calls. With this new app you can choose an easy-to-remember username instead of having to fumble around for a traditional phone number and PIN. 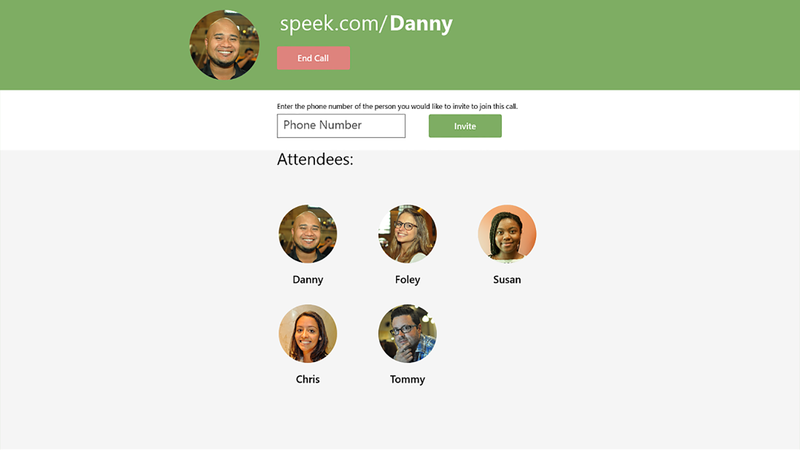 With Speek users have the ability to talk instantly with one-click calls! They may even know who has joined the call and know exactly who is talking. Speek also allows the option to add participants, whenever users would like. There is no scheduling of calls and absolutely no elevator music! But best of all, no interruptions! Speek is free! Use Speek for your next team meeting, sales call, or to catch up with mom. Speek was built to get you on calls faster and easier than ever before. To get notified of Speek’s June 14, 2014 release click here.